A near capacity audience enjoyed a performance of Handel’s Judas Maccabaeus by Louth Choral Society on Sunday 13th April, in St James’s Church, Louth, that was worthy of any concert venue in the land. 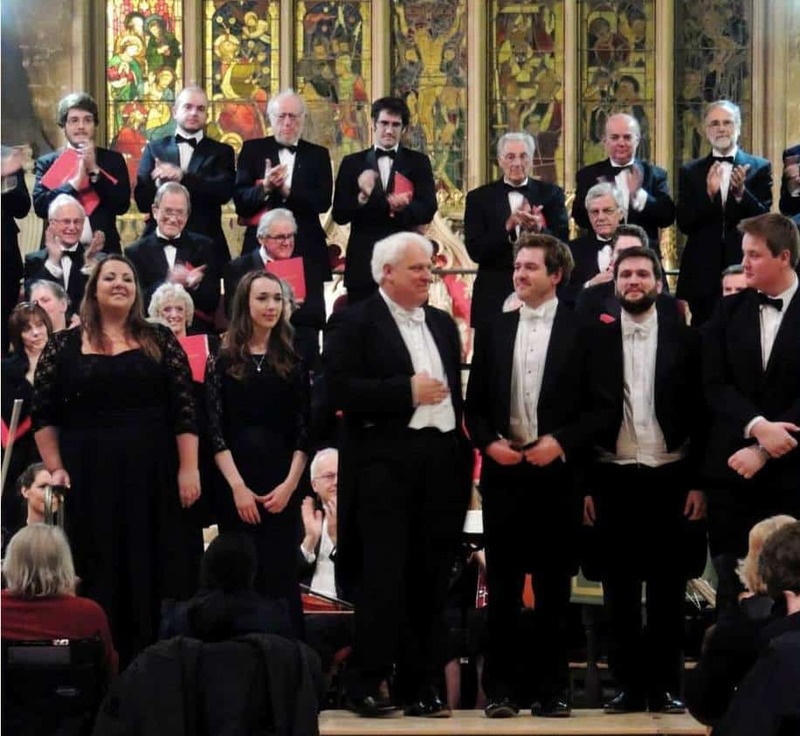 This rarely performed Oratorio opens with one of Handel’s finest overtures and the members of the Lincolnshire Chamber Orchestra, comprising strings, woodwind, and later brass and timpani were in fine form and along with David Parker and Tony Pinel on continuo helped to make this concert so memorable. The choir were centre stage from the start with the opening chorus. I have rarely heard them sing better with excellent vocal quality and diction throughout. All the choruses were well interpreted and provided some beautiful moments with the highlight for me being ‘Sing unto God’. There is extensive solo work in the oratorio with four main characters and early on we have one of Handel’s most famous arias ‘Pious Orgies’, sung beautifully by Céline Forrest, soprano, as the Isrealitish woman. Sam Furness, tenor, sang the ‘title’ part of Judas Maccabaeus and Gareth Brynmor John, bass, was Simon. It was a joy to hearthese three experienced soloists interpret the wide variety of musical moods contained in a, too numerous to list, selection of recitatives and Arias in this work. Sam was commanding in his portrayal of the ‘title’ character, effortlessly scaling the long fast passages and, when required, producing the most delicate moments to give a performance of the highest quality. Gareth, with his pure tone and effective interpretation of the many moods required, was a joy to hear. Céline with her fine, full voice was at the same time able to interpret the intricate section with ease and in her duets with Olivia Warburton, mezzo soprano, provided some most memorable moments. Olivia, singing the ‘Isrealitish man’ part, is a young singer from Lincolnshire with a beautifully clear vocal tone and effortless style who I look forward to hearing more of in the future. David Whitworth, alto, and Padraig Staunton, bass, completed the solo line, both young singers showing great promise. This work is long, but held the attention of the audience throughout nearly 3 hours to make one wonder why it is not heard more often – over 150 years since the society last performed it! It has many familiar pieces like ‘Sound an Alarm’ with its dramatic brass accompaniments but all the solo and chorus parts have great character and you can see why it was so popular in Handel’s time. Thank you to Louth Choral Society, under the direction of Martin Pickering, for bringing this work to Louth again. The choir’s next concert features a Roger and Hammerstein programme entitled ‘Raindrops on Roses’ at 7:30pm on Sunday 6th July in St James’s Church , Louth . Be sure not to miss it!